We looked at the top 10 Cricut Machines and dug through the reviews from 50 of the most popular review sites including My Passion For Scrapbooking, 10 Techy, Craft Schmaft, Personal Die Cutting, Cutting Machine Reviews, Vinyl Cutting Machines and more. The result is a ranking of the best Cricut Machines. Our experts reviewed the top 10 Cricut Machines and also dug through the reviews from 50 of the most popular review sites including My Passion For Scrapbooking, 10 Techy, Craft Schmaft, Personal Die Cutting, Cutting Machine Reviews, Vinyl Cutting Machines and more. The result is a ranking of the best of the best Cricut Machines. If you have your own images that you want to die-cut, the Cricut Explore Air 2 is a great choice. You'll be able to choose from a wide selection of images in the machine's free library. Although it isn't the cheapest machine on the market, it does hold its value for later resale. 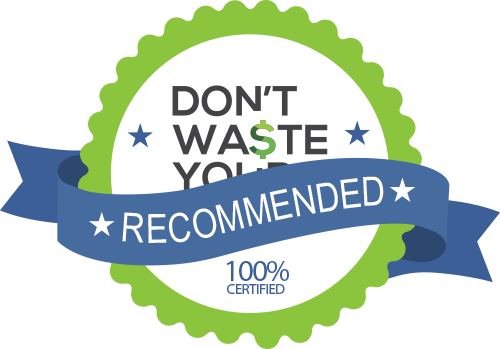 DWYM Home Experts plus BestReviews, New York Times Wirecutter, Cutting Machine Reviews, Vinyl Cutting Machines, 10 Techy, Ken’s Kreations and 1 more. Along with user reviews from Amazon, Walmart and Michael’s.
" Upload your own images, or access a good selection on Cricut's free library. Cuts through foils, leather, vinyl, and a whole lot of other good stuff." "It doesn’t make sense to have an app for iOS and lack one for Android." The Cricut Maker is a hit with many crafters since it can easily handle a wide variety of fabrics, with no need for backing. Quilters can also use it to cut quilting fabric without needing heat and bond. The Cricut Maker uses Adaptive Tool System, providing 10 times the cutting power of comparable machines on the market. DWYM Home Experts plus BestReviews, New York Times Wirecutter, Cutting Machine Reviews, Vinyl Cutting Machines, Cut, Cut, Craft, The Best Vinyl Cutters and 3 more. Along with user reviews from Amazon, Walmart and Michael’s.
" Versatile uses. Quilters can cut fabric without using heat and bond. Also works with delicate fabrics like lace. Can use customized designs." You won't have to wait for the Cricut EasyPress 2 to warm up. Unlike other cricut machines, it can heat up in 60 seconds or less. It reaches temperatures as hot as 400 degrees Fahrenheit. You'll also get convenient notifications once the device has heated up, as well as beeps when the device is about to go to sleep due to inactivity. DWYM Home Experts plus Vinyl Cutting Machines, Dream A Little Bigger, Crafting In The Rain, Silhouette School, Handmade in the Heartland, 10 Techy and 2 more. Along with user reviews from Amazon and Walmart.
" It heats up hotter, faster, and makes for more effective presses. Especially effective when using thick materials like glitter HTV." "Price is comparable or more than a standard 15 x 15 heat press"
The Cricut Cuttlebug Die Cutting and Embossing Machine is one of the most portable cricut machines on the market. It features a handle that makes it easy to take with you. You'll also get affordability with this one since it retails for less than $200. You won't sacrifice functionality, though, since the device can cut everything from tissue paper to thin leather. DWYM Home Experts plus BestReviews, Personal Die Cutting, 10 Techy, Vinyl Cutting Machines, Cutting Machine Reviews. Along with user reviews from Amazon, Walmart and Michael’s.
" Easy to use. Works well on everything from tissue paper to thin leather. Highly portable and compact. Great at embossing. Price is hard to beat if you want a simple, no-frills machine." "BeThe height of your cutting materials should not exceed 1/8″. Forcing materials through the machine could get them stuck." We identified the majority of the cricut machines available to purchase. Reviews from our DWYM category experts and analysis of some of the most respected sources including: My Passion For Scrapbooking, 10 Techy, Craft Schmaft, Personal Die Cutting, Cutting Machine Reviews. We also incorporate user reviews from the leading retailers including Amazon, Michael’s, Walmart. Upload your own images, or access a good selection on Cricut's free library. Cuts through foils, leather, vinyl, and a whole lot of other good stuff. And the Explore Air 2 has one of the better, established resale values if you ever want to upgrade to a new machine. It’s an investment, but we think it’s worth the cost. It doesn’t make sense to have an app for iOS and lack one for Android. The major benefit of the Explore Air 2 is that it’s faster. We also loved the embedded Bluetooth that enables wireless cutting. With the help of the embeded Bluetooth, it becomes easier to move the designs from the computer into the machine. One thing I noted, is even though the Cricut Explore Air 2 is 2X faster. I love the flexibility of being able to place my vinyl cutting machine well out of the way from my working desk space. So incredibly handy! Access to the extended graphics and font library requires a pay-per-image fee. Some users had problems with software. It’s annoying that Android users aren’t yet able to enjoy the experience of using Cricut’s products from the comfort of their phone or tablet. Easy to use. Works well on everything from tissue paper to thin leather. Highly portable and compact. Great at embossing. Price is hard to beat if you want a simple, no-frills machine. 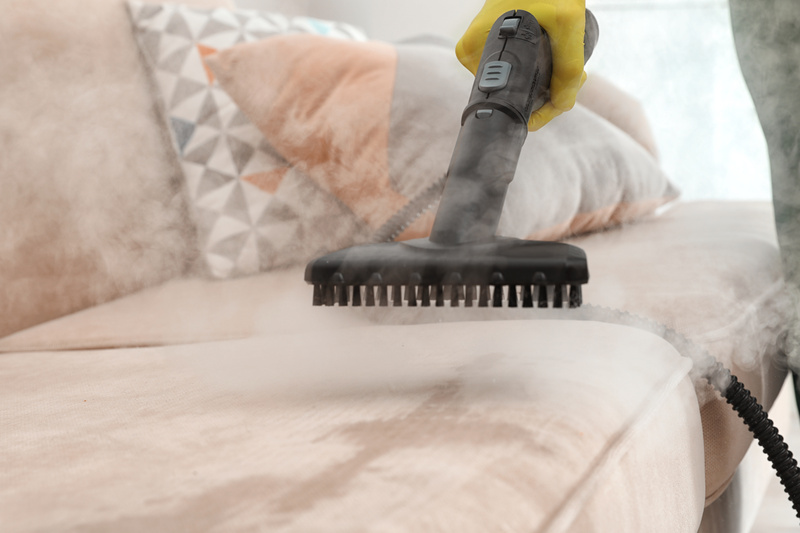 This Cuttlebug is very easy to maintain and requires nothing besides keeping it clean. If you treat the machine nicely and don’t force anything through the opening, it should last a long time. It is extremely lightweight and portable with the touch of durability to its body. Not only is it super easy to use, but it doesn’t require any electricity and there are no particularly sharp edges to scratch yourself on. What’s more, it has a pop-up handle that empowers you to take it anywhere with you, easily. Doesn't always cut all the way through on intricate designs. BeThe height of your cutting materials should not exceed 1/8″. Forcing materials through the machine could get them stuck. Be careful about using materials because this isn’t versatile and cut thick or large materials. The one complaint we regularly hear with the Cricut Cuttlebug is that the C plate is no longer included when you buy the latest version of the machine. A Cricut machine can be the perfect tool for any crafter’s workshop. Over the years, these devices have evolved from their original design that needed cartridges to cut out letters and shapes. Today’s Cricut machines can print out die-cuts that are designed on your mobile device or computer, opening up the possibilities for what you can do with them. If you’re interested in designing on your mobile device, though, it’s important to find a Cricut machine that’s compatible with the operating system you use. Some machines have larger image libraries than others as well, with some featuring big-name designers as part of the free library they provide. But not all Cricut machines are created equal. Some can cut through extremely tough fabrics like leather and vinyl, while others can handle delicate fabrics like lace. If you plan to work with a wide range of fabrics, look for a machine that can adjust to the thickness and type that you’re using. Cricut machines have also improved in their ease of use. Not only can you get started right out of the box, but today’s machines also have notifications built in that will let you know when your machine is warmed up and when it’s about to shut down due to inactivity. You’ll also find that some machines can quickly warm up, which means you’ll be able to complete a cut any time you need to without having to wait an extended period of time. Crafting doesn’t always happen at home. If you craft with friends, perhaps through retreats or casual get-togethers, you’ll love that some Cricut machines are ultra-portable. Not only are these machines lightweight and small, but they also have a handle that makes them easy to carry. Even if your machine never leaves the house, though, a smaller machine will more easily fit into your crafting room. Cricut machines are generally used for cutting fabrics, but their versatility shows in the many products they can make. Crafters regularly use them to make vinyl car window stickers, leather tablet cases, clothing, purses and pillows. Once you’ve purchased a Cricut machine, you can start exploring all the possibilities. However, in order to be able to make many of these things, you’ll need a machine that can handle the type of fabric you’ll need to use. Whichever Cricut machine you choose, you’ll likely be able to use a basic Google search to track down a list of things you can make with it. For crafters, it’s all about the designs. The Cricut Explore Air 2 lets you upload your own images or choose from the large selection in its free library. The Cricut Maker also has a built-in image library, with hundreds of patterns from big brands like Simplicity and Riley Blake. Before you buy a Cricut machine, think carefully about the types of materials you’ll want to use. The Cricut Explore Air 2 can cut through foils, leather and vinyl, among many other material types. The Cricut EasyPress 2 is especially good with thick materials, like glitter heat transfer vinyl. The Cricut Cuttlebug Die Cutting & Embossing Machine can easily manage a wide range of materials, from tissue paper to thin leather. However, if you have an intricate design, you may find the Cricut Cuttlebug has issues. For quilters, the Cricut Maker may be the best option since it can cut fabric without the need for heat and bond. The Cricut Maker is the only machine that can cut all types of fabric without you needing to add interfacing or backing to it to reinforce it. 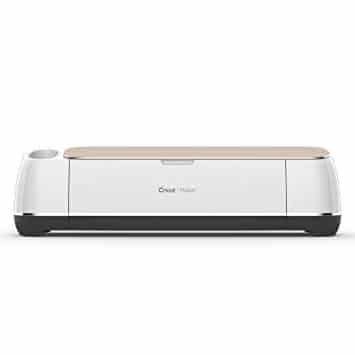 The Cricut Maker is the first Cricut machine to use a technology called the Adaptive Tool System, which features 10 times the cutting power of other machines. It adapts to the depth of the fabric you’re using at a given time. Waiting for your Cricut machine to warm up can be frustrating. The Cricut EasyPress 2 heats up in 60 seconds or less, achieving temperatures of up to 400 degrees Fahrenheit. Whether you’re new to Cricut machines or not, ease of use is important. The Cricut EasyPress 2 beeps to notify you once it reaches the preferred temperature, as well as before shutting down due to inactivity. Another handy feature of the EasyPress 2 is that it remembers the settings you last used. A quick start guide will walk you through your first project, so this one is great for beginners. Cleaning and maintenance can be time-consuming, and the Cricut Cuttlebug Die Cutting & Embossing Machine eases some of that for you by lasting through many uses with minimal maintenance. It’s important to note that these aren’t professional-grade die-cutting machines. However, they’re great for home craft projects that you wouldn’t have been able to do without a Cricut machine. If you’re limited on space or want to take your Cricut on the go, you’ll like a machine like the Cricut Cuttlebug Die Cutting & Embossing Machine, which is highly portable. It also has a pop-up handle to make it easier to carry. For those concerned about staying within a budget, the Cricut Cuttlebug Die Cutting & Embossing Machine is the most affordable Cricut machine, retailing for less than $200. The Cricut Maker is on the most expensive end of pricing, retailing in the $300 to $400 range. Although you’ll spend more than $200 for a Cricut Explore Air 2, it does hold its value, which will become important if you upgrade to a newer machine down the road and want to sell your old one. In order to print designs from your mobile device, you’ll need an app. Unfortunately, the Cricut Explore Air 2’s app only works with iOS devices. The Cricut Maker, on the other hand, works with Windows, Mac, iOS and Android devices. A loud Cricut machine can be a nuisance, especially if you use your maker when your family is around. The Cricut Maker is the quietest of all the machines. Technologies seem to always be changing, making a device outdated as soon as you’ve purchased it. The Cricut Maker is fully expandable, which means as new tools like blades and pens are released to the market, you can easily add them. For the Cricut Machine category, we analyzed 50 of the most popular reviews including reviews from My Passion For Scrapbooking, 10 Techy, Craft Schmaft, Personal Die Cutting, Cutting Machine Reviews, Vinyl Cutting Machines and more. The result is a ranking of the best Cricut Machines.